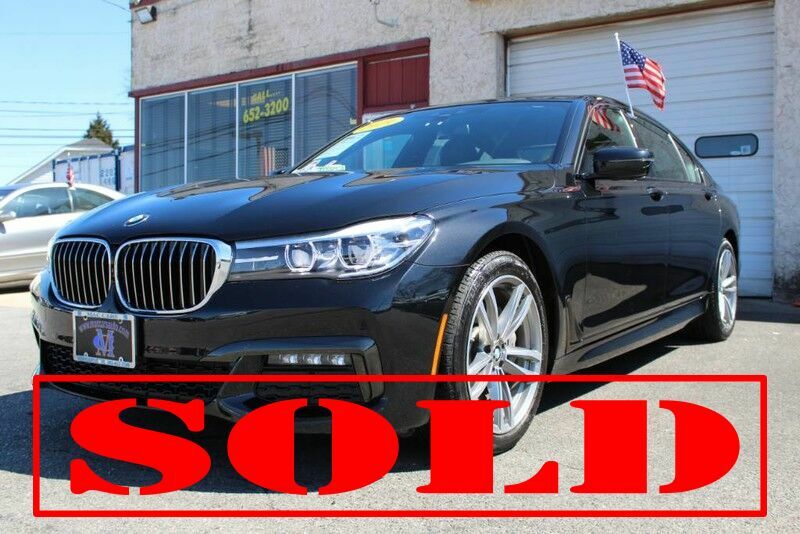 Mac Cars has a wide selection of exceptional pre-owned vehicles to choose from, including this 2019 BMW 7 Series. Your buying risks are reduced thanks to a CARFAX BuyBack Guarantee. CARFAX shows that this is a one-owner vehicle -- no wonder it's in such great condition. You deserve a vehicle designed for higher expectations. This BMW 7 Series delivers with a luxurious, well-appointed interior and world-class engineering. Comfort. Performance. Safety. Enjoy all three with this well-appointed AWD 2019 BMW. Intricately stitched leather and ergonomic design seats are among the details in which test drivers say that BMW 7 Series is in a league of its own This vehicle comes with a navigation system. That doesn't mean you won't get lost. But it does mean you won't stay lost. Get a complete and detailed history at no charge on this wonderfully maintained pre-owned vehicle. If you are looking for a pre-owned vehicle that looks brand-new, look no further than this Jet Black BMW 7 Series. Look good driving this beautiful vehicle and feel good knowing it comes with a factory warranty. The incredible 2019 BMW 7 Series 740i xDrive is an invigorating performance machine that will pump adrenaline into any driver who dares to take the wheel. Do you really need any other reason to want one? Equipped with many extra features, this well-appointed vehicle is a treat to drive. New tires are just one more reason this vehicle is a great deal. This is your chance to own the very rare BMW 7 Series. Nothing sets off the look of a vehicle like its wheels. This particular BMW 7 Series has an upgraded wheel package adding to its stunning appearance.